The bane of modern business is the constant push of busyness. Some of us enjoy the rush, at least for a while. But it comes at a cost. Studies have uncovered a myriad of detrimental psychological and physiological effects resulting from busyness. And the negative consequences at a personal level seem to be on the increase. Businesses suffer as well. One of the obvious evidences is our tendency to give too little corporate attention to those critically important yet non-urgent tasks that enable our firms to be more successful. Stephen Covey found that a key difference between highly effective organizations and average ones is how much time they spent doing important tasks versus urgent ones. The best companies spent most of their time on important matters; average ones spent their time mostly on urgent (and often non-important) matters. What's the solution? Perhaps you should consider how to add more margin to your life and business. Several years ago, Dr. Richard Swenson wrote an insightful book called Margin: Restoring the Emotional, Physical, Financial, and Time Reserves to Overloaded Lives. He defined margin as the space between where we live and our limits. Most people in our modern culture maintain little, if any, margin. Swenson, a physician, detailed the personal and societal costs of marginless living in his book. Many of these are also evident in our businesses--stress, burnout, conflict, communication problems, lack of vision, poor planning, strained finances. The parallels are to be expected; companies are of course comprised of people. Yet the personal impacts of margin deficit can be multiplied in an organization. Inventory your time usage. Track how you and your colleagues spend time on the job for at least one week. Record your activities in 15- to 30-minute intervals. Then total how many hours you spend in each of the following four categories: (1) important and urgent, (2) important but not urgent, (3) urgent but not important, and (4) neither urgent or important. You might find my "Time Tracker" helpful in this exercise. You're likely to discover (1) how little time you spend on tasks that are important but not urgent and (2) how seldom you work in significant blocks of time on specific tasks. Yes, you may be aware that this is true, but learning how serious these problems are can provide the needed impetus to take meaningful action. It certainly has had that impact on groups I've done this exercise with in the past. Acknowledge the myth of multitasking. The failure to block time might be dismissed by some as a relatively minor issue. After all, who in this business wouldn't describe themselves as a "multitasker" by necessity? But recent research disproves the common assumption that multitasking is productive. Indeed, working on multiple tasks in quick succession can reduce output by more than half! We need to stop viewing multitasking as a badge of honor and see it as the problem it is. Among other benefits, adding margin provides more space between competing activities and can actually result in getting more done. At the very least, it helps you do things better--hopefully with a focus on the things that matter most. Unload and redistribute workload. I can imagine your thinking that this is an unreasonable goal. And if you tried to do it on your own, you're probably right. But optimally distributing the workload is one of the key advantages of working in an organization. Plus I suspect that every team, office, and firm can find things to eliminate from their task list, at least for the present. 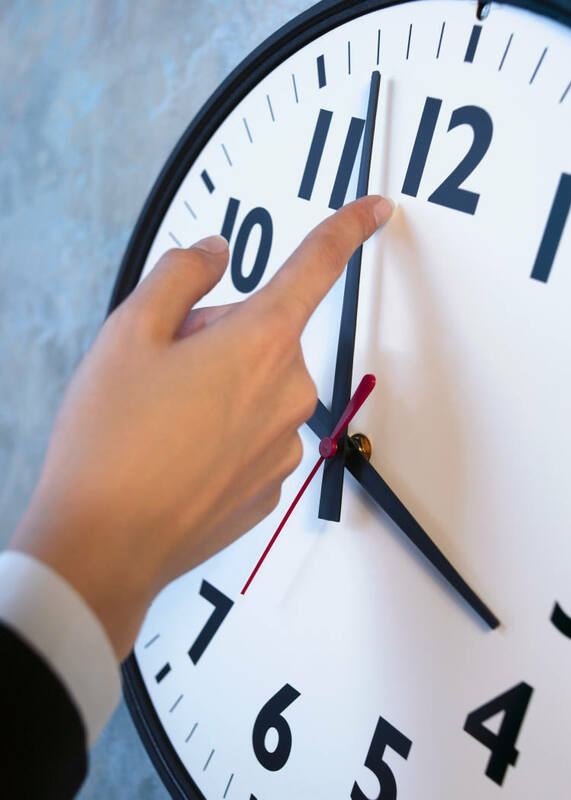 Consider these four time management strategies: (1) delete, (2) delay, (3) delegate, or (4) decrease. Apply these to your task list--collectively with those you work with. The primary area to focus on is activities that are urgent but not that important. I agree with author Jean Fleming: "The goal of much of what is written about life management is to enable us to do more in less time. But is this necessarily a desirable goal? Perhaps we need to get less done, but the right things." Schedule more time than you think is necessary. Things typically take longer to complete than we anticipate they will. This is one of the main reasons that we have so little time margin. When planning your calendar, leave room for tasks to run longer than you think they should. Should you finish early, well, you've created some margin to put to other good use. Avoid filling your calendar. It's important to leave time in reserve for important, unanticipated opportunities. It may be a request from a client or a friend in need of your help. As Swenson notes in his book, if we are to make the kind of impact in this world that we'd like, we need to move beyond schedulability to availability--having time in reserve for the important matters that can't be planned in advance. Sound like a radical way to run a business? Well, it's the difference between treating your time as a commodity and deriving the value from it that your finite hours and days deserve. That has a familiar ring to it, doesn't it? Maybe spending your time more wisely will help your firm escape the commodity trap and elevate your business to the value-added status you desire.